Price improvement! and Back on the market! Call today to take a look. From the moment you enter, you will be captivated by light and space. Tucked into this private cul-de-sac, this light filled contemporary is welcoming, warm and waiting for you. Your check list will be complete as this home features the perfect balance of formal space with lots of room to relax and unwind; a finished lower level with kitchenette, play space, guest room and full bath, upstairs loft, 5 bedrooms, spectacular kitchen and family room with fireplace, oversized deck for outdoor entertaining. There is a room to suit every member of the family every day. Minutes from parks and recreation. Ardsley Schools. If you “want it all,” don’t miss this one! Relish country club living in this lovely, private gated community. This delightful, huge Clarewood townhouse offers 2 bedrooms, 3.5 baths but lives much larger with two fireplaces and huge lower level family room. Plenty of room for guests or a larger family! Lawn maintenance and snow removal included. Enjoy coffee or a nice wine on the deck and entertain family and friends with a bbq on the patio just in time for those long summer evenings. Enjoy tennis, gym, clubhouse, pool and playground on premise just a few steps away. Please note seller is presently using the extra large master bedroom for 3 kids and using second ensuite bed/bath as master. Also created an extra room on lower level off family room-easily converted back or keep as office, library or guest room. Lots of flexible space to make your own! Minutes to all major roadways for easy commute, shopping, movies and entertainment. Welcome Home! Fall in love each and every time you arrive home. The “curb appeal” of this Legend Hollow home will set the tone and ease you into the lifestyle you have earned. Once inside, enjoy the perfect flow for today’s buyer. Impressive entry, light bright open floor plan, warm inviting double height family room with oversized fireplace, spacious master suite plus perfectly sized family bedrooms. Enjoy summer evenings on the patio or a romp in the lovely flat grassy yard. Possibile pool site as well. The full unfinished basement provides a surplus of space for indoor hockey/soccer practice as is or finish it to create the extra space you desire. The best of Irvington’s Legend Hollow is found here at this perfectly sized and situated home. Come see it today! 4 Bedrooms · 3.1 Baths · 4,035 Sq. Ft. PLEASE STOP BY AND TAKE A LOOK! From the moment you enter, you will be captivated by light and space. Tucked into this private cul-de-sac, this light filled contemporary is welcoming, warm and waiting for you. Your check list will be complete as this home features the perfect balance of formal space with lots of room to relax and unwind; a finished lower level with kitchenette, play space, guest room and full bath, upstairs loft, 5 bedrooms, spectacular kitchen and family room with fireplace, oversized deck for outdoor entertaining. There is a room to suit every member of the family every day. Minutes from parks and recreation. Ardsley Schools. If you “want it all,” don’t miss this one! Charming village colonial just steps from Metro-North and a quick 37 minute ride along the Hudson to reach NYC. 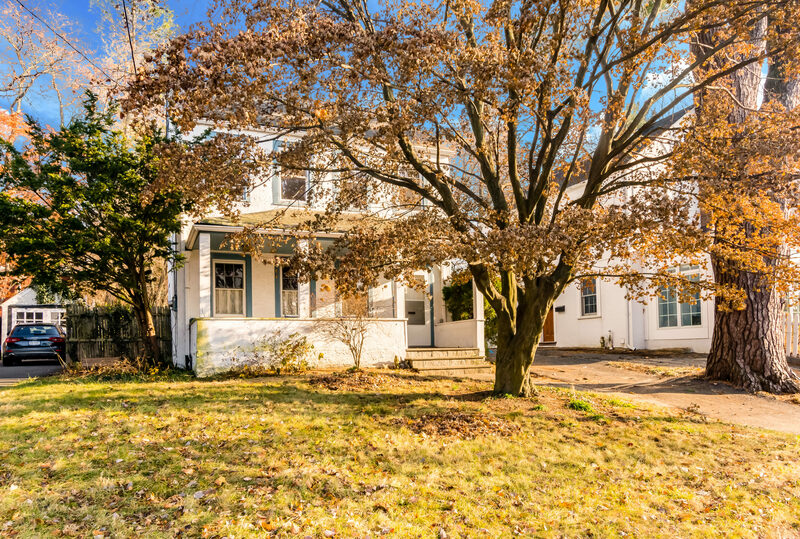 Located on one of Irvington’s most charming streets, this vintage home is the perfect transition from city life to village life. Spend afternoons sitting on the front porch with a good book or Summer’s entertaining with backyard BBQ’s. Stroll to the riverfront parks, schools, shops and destination restaurants that Irvington is known for all while soaking in the sites of the village. Steps from Dow’s Lane Elementary School and playground. Easy living is just a call away. Click for more information and pictures.